Akagera National Park in Rwanda is the only protected savanna in Rwanda. 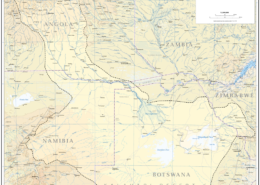 It is a 277 000 acre national park bordering Tanzania. The park consists of lakes, swamps, rolling hills and woodland. 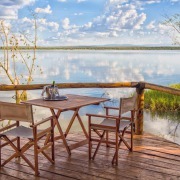 Akagera is a gem of a national park in this thriving part of Africa and remains not often visited, which creates the opportunity for a real sense of wilderness and escape. The conservation organisation African Parks partnered with the Rwanda Development Board and created the Akagera Management Company which takes superb care of the day-to-day running of the park. The Akagera National Park has a great little tented camp, the Ruzizi Tented Lodge, from which exploration of this amazing park can be done. 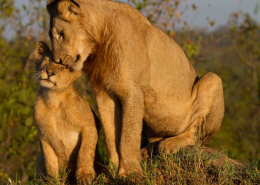 Getting the most out of a Rwandan and Akagera experience, however, really does require a private guide to help unearth the beauty and splendour of the park. The Akagera National Park is named after the Akagera River which flows along the eastern boundary of the park. This river spills into a myriad of lakes and swamps, the largest being Lake Ihema. Views from the highpoints of the park are simply spectacular. 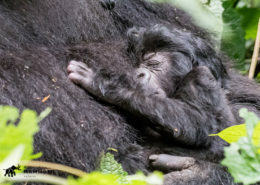 This park can be visited easily from the capital Kigali and is most often done after the intense experience of finding gorillas, either in Rwanda or perhaps across the border in the Democratic Republic of Congo. The Akagera National Park is a wonderful place in which to relax and unwind after busy days of gorilla trekking. 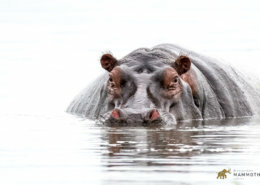 Enjoy a boat safari, meandering along the forest-fringed lake edges and take in views of the abundant hippo and crocodile. From the boat, you will also be in a great position to marvel at the glorious birdlife on offer, with more than 480 birds to tick off. 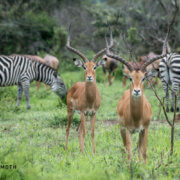 Mammals in the reserve include elephant, lion, leopard, buffalo and many interesting little creatures too. The real attraction here though remains the sheer sense of wilderness and adventure. We recommend getting to Rwanda soon though, as tourism is really picking up here and that sense of “remote and wild” is fast receding.